If your parking is not at the correct position, then the car washing will not start. 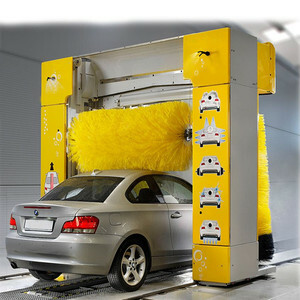 Q: What is the power of this touchless car wash machine9 A: 24.5kw. Q: What is the time to wash one car9 A: 4.5 minutes. 2 YRS Shanghai Jiahong Automation Equipment Co., Ltd.
2 YRS Sino Star (Wuxi) Automotive Equipment Co., Ltd.
3 YRS Sino Star (Wuxi) Automotive Equipment Co., Ltd.
10 YRS Dericen Automation (Yancheng) Co., Ltd.
3 YRS Guangzhou Car Member Electronics Technology Co., Ltd.
3. 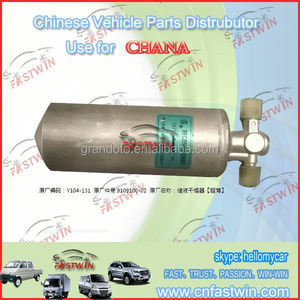 Strong Heart Powerful motor bring the car strong wind, ensure the efficiency of car washing rapid. 4. 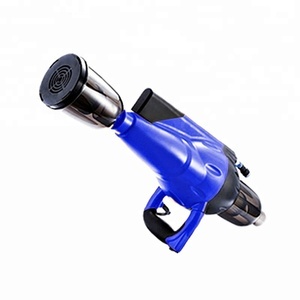 Soft nozzle The nozzle is made of silicone material, the texture is soft, do not worry about scratching the car. 4. The hose spray washing It can save water and protect the car paint . 3. High quality water absorb rod using imported Japanese material, effectively clean the leftover of dirt and bubble. 4. With water absorb rod showering function, to keep the water absorb rod clean. 5. With automatic self-protection stop and alarm function when the foam finished. 1 YRS Hangzhou Gonggao Technology Co., Ltd.
1 YRS Tebrick Inteligent Tech Co., Ltd.
4 YRS Shanghai Berry Washing Machinery Co., Ltd.
3 YRS Wuhan Shernbao Pet Products Manufacturing Co., Ltd.
4 YRS Shanghai Amerigo Trade Co., Ltd.
12 YRS Nantong Sea Melody Industrial Co., Ltd.
2 YRS Hangzhou Dingchuan Import & Export Co., Ltd.
9 YRS Zhengzhou Tianyuan Environmental Protection Machinery Co., Ltd.
Airflow Dryer Index 2016 Hot Sale mini washing Machine with spin Dryer Specification : Model Specification Photo TYHG450 Drying cylinder dia. : 450mm Feeding humidity :10-80% Output humidity : 5% Feeding size :&le;3 mm Water evaporation :200-400 kg/h Dimension :6*1.5*4 m Power:5.65 kw Weight: 1550 kg TYHG650 Drying cylinder dia. 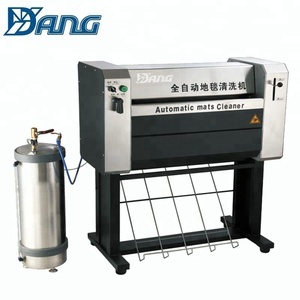 :650mm Feeding humidity :10-80% Output humidity : 5% Feeding size :&le;3 mm Water evaporation: 300-600 kg/h Dimension :8*1.5*4 m Power : 17.2 kw Weight: 5500 kg TYHG950 Drying cylinder dia. 4 YRS Xiamen Lelirunan Scie.and Tech. 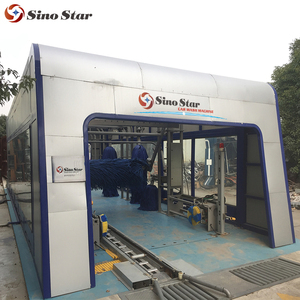 Co., Ltd.
1 YRS Wuxi G&Y Technology Co., Ltd.
1 YRS Nanjing Haiying Machinery Co., Ltd.
automatic mini car wash machine dryer prices All in one Multi-Function High Presure Washer 1) Save Time - Power 1700W 2) Save Water - Atomization washing, Super range 3) Super stronger drying 4) With Foam washing 5) With Dust Collection function Accessories Contact information Nelson Mo: Wechat / Whatsapp: +86 185 2945 8649 Have been verified onsite by world-leading inspection company, SGS & TUV Group! 8 YRS Qingdao Risense Mechatronics Co., Ltd.
1 YRS Wuhan Hobeth Import & Export Co., Ltd.
6 YRS Yancheng Honzo Machinery & Equipment Co., Ltd.
Key Features 1. Intelligent unmanned systems, self-service card payment system. Then in the recent years, we imported the advanced technology to creat the Honzo Brand series products. Honzo people always attach great importance to quality controlling from the very beginning to the very end. 4 YRS Shanghai Sunfilter Industry Co., Ltd.
7 YRS Henan Brimful Shine Commerce And Trade Co., Ltd.
1 YRS Wuxi Sunshine Technology Co., Ltd.
3 YRS Hangzhou Shuifu Car Wash Equipment Co., Ltd. 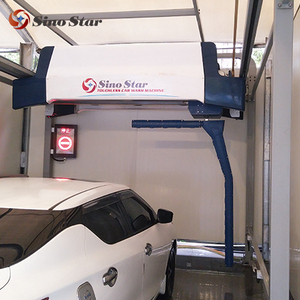 The spray arm can adjust the washing distance automatically according to the size of car. The system works out the best washing distance according to the detected date from the ultrasonic sensors. 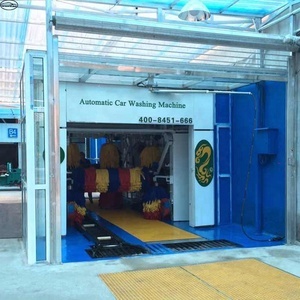 When the vehicle is out of washing area, the system will remind customer to park vehicle in the right position to continue washing. 9 YRS Shaoxing Huanxin Imp. & Exp. Co., Ltd.
8 YRS Hangzhou Linuo Machinery Co., Ltd.
3 YRS Anhui Dawn Machinery & Electric Equipment Trading Co., Ltd.
7 YRS Wuxi Yaoen Technology Co., Ltd.
10 YRS Shenzhen Good Faith Industrial Co., Ltd.
washer and dryer 1.Smart washer from ICan 2.Ideal accessory for :car,bicycle,boating,fishing,camping,bathing. 3.CE&RoHS Features &middot; Made of pure material (PP) having durable construction &middot; Store fresh water with 17L (4 gallon) of water tank &middot; Removable water tank &middot; Cordless power supply from rechargeable battery &middot; Wheels and belt for easy carrying &middot; Water flow which mode is up to 10,000 times/min high frequency vibration &middot; Mesh accessories pocket &middot; Easy in operation and save in use &middot; Perfect for camping, boating, fishing and do all the ideal cleaning. Specification Portable Pressure Washer Model GFS-C1 Power 60W Volt 12V Pressure 43.5-130.5 PSI ( 3-9 BAR) Motor & Pump Serving for over 500 hours Accessories Hose, Power Cord,Spray Gun Battery, Charger, Belt Power Cord 3m Hose 6m Spray gun Nozzle head,Shower head,Brush head Size of color box 36 x 24 x 52.5cm Certification CE & RoHS G.W. 2 YRS Shanghai Gubot Automobile Technology Co., Ltd.
Can be connected with a vacuum, for better car interior/engine clean. Simple mechanical electronically controlled, easy to operate and control. Strong steam hose, even the temperature is above 300 degrees, it can work normally. 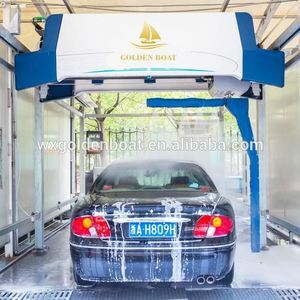 Alibaba.com offers 8,954 in car dryer products. About 22% of these are car washer, 1% are other car cleaning tools, and 1% are rotary drying equipment. A wide variety of in car dryer options are available to you, such as free samples, paid samples. 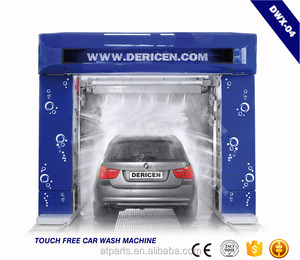 There are 8,954 in car dryer suppliers, mainly located in Asia. The top supplying country is China (Mainland), which supply 100% of in car dryer respectively. In car dryer products are most popular in North America, Domestic Market, and Mid East. You can ensure product safety by selecting from certified suppliers, including 1,968 with ISO9001, 455 with Other, and 389 with ISO14001 certification.